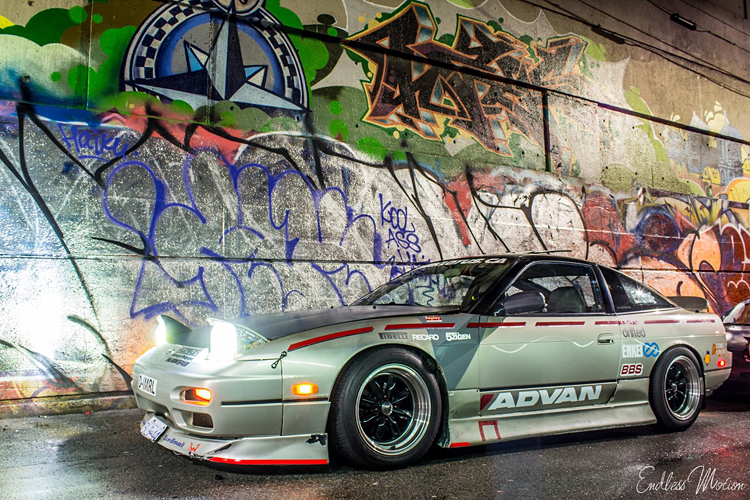 Allow me to introduce “Nancy”, a less than serious take on the popular 240sx (S13) platform. 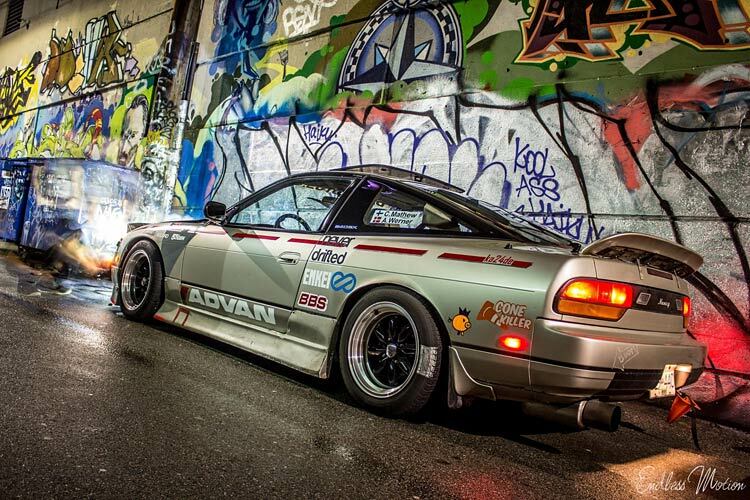 This is a true no-fu*ks-given build that proves you don’t need a big budget and 500bhp to have fun drifting. 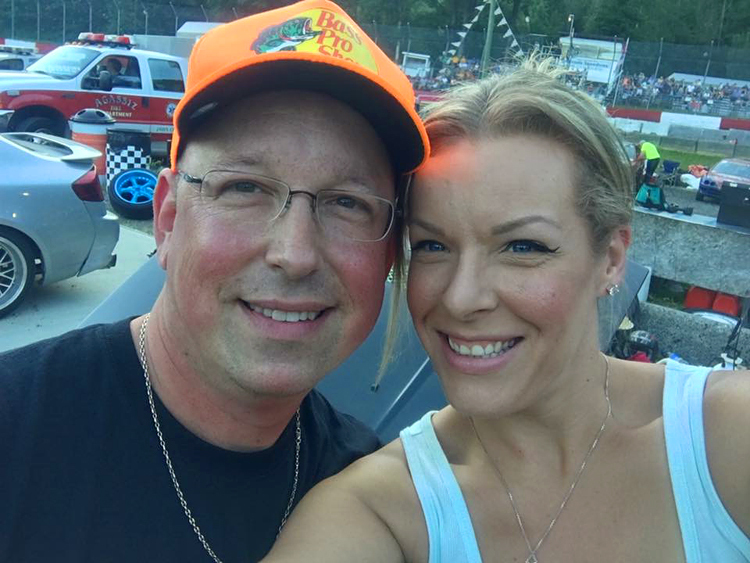 The car’s owner is Matt Crarey, a happy father of one who resides in Canada. 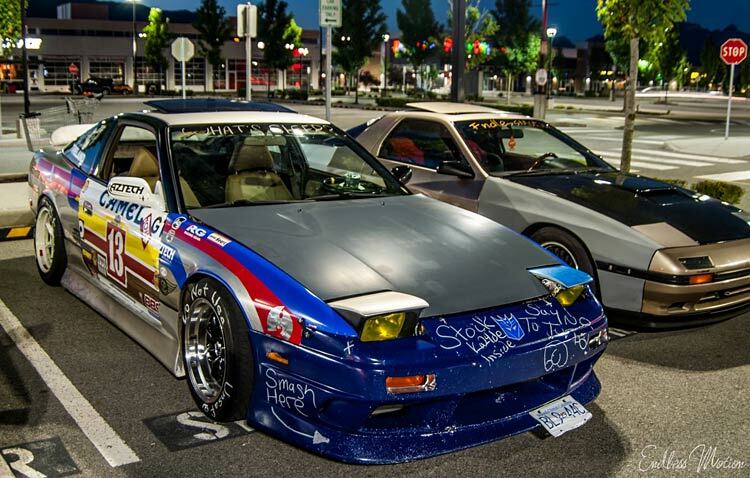 Matt is an artist by trade and his profession really influences the build of his 240sx. 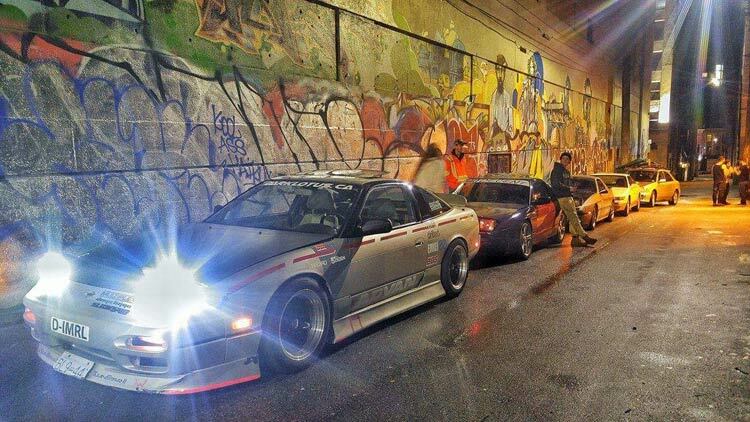 The car has a distinctive JDM inspired street style that just oozes cool. 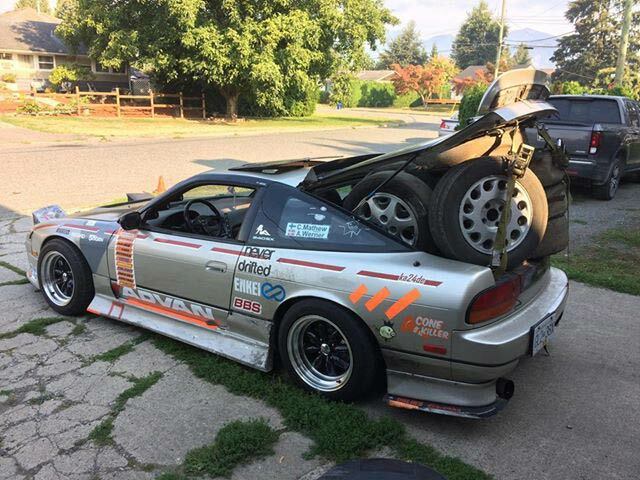 He has a collection of exterior aero parts that he swaps around, mixing up fenders, guards, lips, side skirts and rear wings on a monthly basis. The car currently runs a carbon hood, OEM front bumper with a customised Honda Prelude Wings West front lip and a set of Bomex side skirts. The really interesting rear wing is actually an OEM item, but it has been set back and raised on custom risers. The high level rear hatch wing was fashioned from a piece of discarded aero Matt found on the side of the road after a snowstorm. The wheels are XXR 513s in 16″ 8j ET 0 fronts and 16″ 8j ET 15 rears with a 1″ rear spacer. These are wrapped in 205/55/16 tyres all around. Matt regularly mixes up the stickers and vinyl to keep the look fresh. 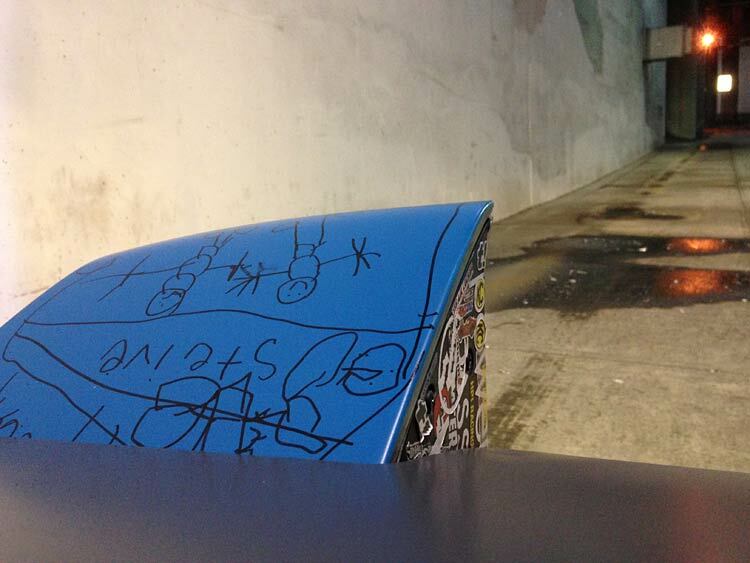 Nearly all of the stickers and vinyl on the car are hand-cut by himself with scissors and razor blades. 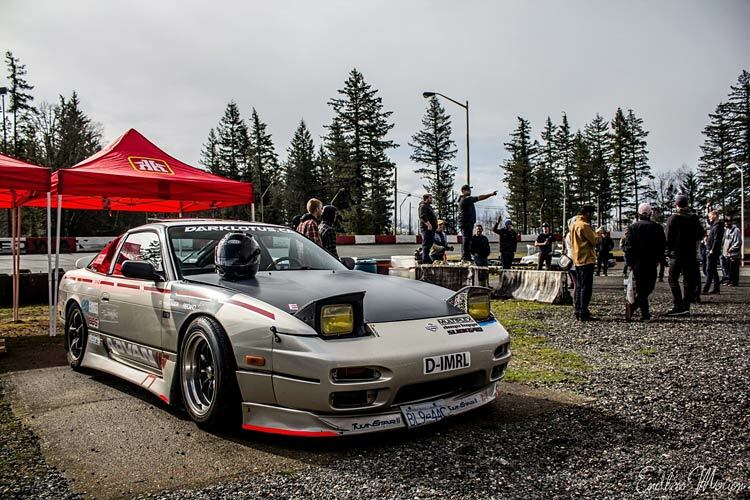 The 240sx sports a set of BC Racing coilovers, carbon fibre strut tower braces, PBM solid subframe risers and a Driftworks Hicas delete kit. 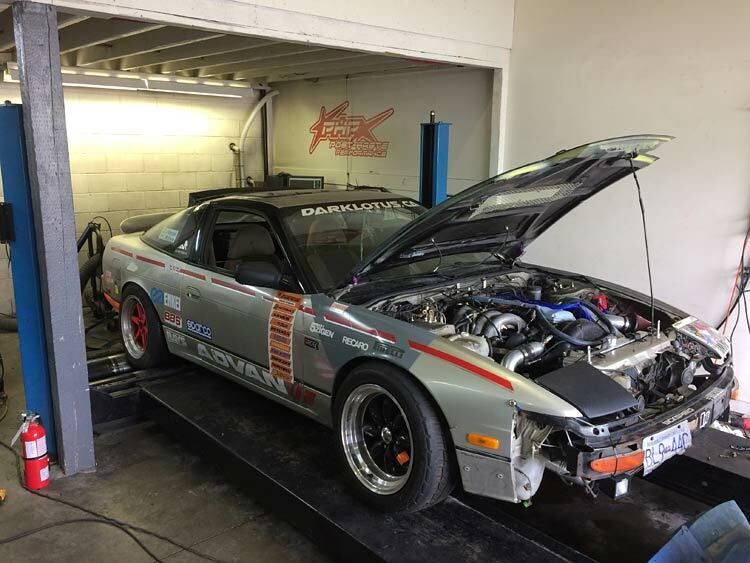 Aaron Glendon custom extended lower control arms and knuckles, offset steering rack spacers and adjustable arms throughout help the car to perform on the track. After beating on the car with the stock KA24DE for over three years, Matt decided the need for more power was too much so he handed the engine to Post Haste Performance. Looking to turbo your own KA24DE? Our KA24DE turbo kit guide was written just for you. They installed a brand new set of Manley H arms and Weisco Pistons. These were over-bored by 0.5mm to 2.45 litres. 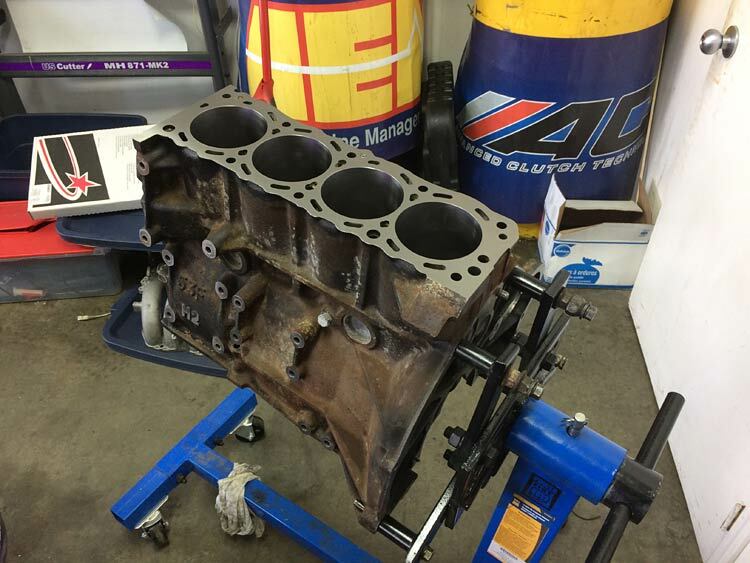 These reinforced components are finished off with a Cometic head gasket and ARP hardware. 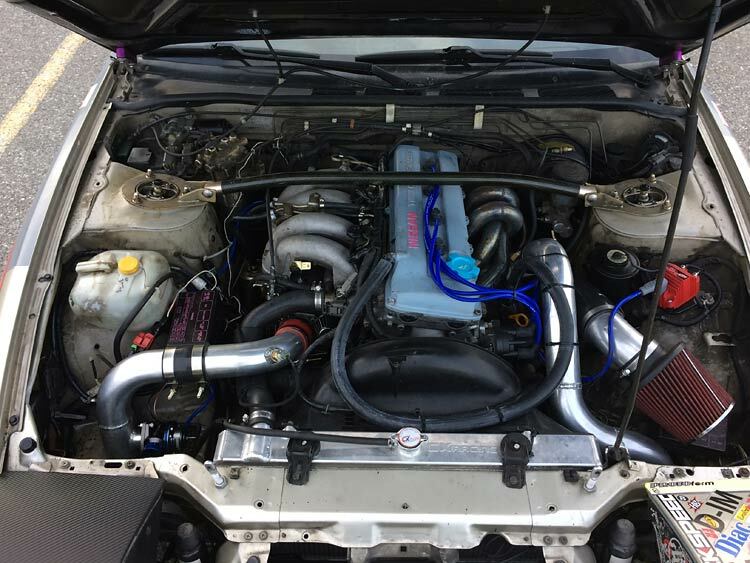 An IRS bottom mount exhaust manifold holds a custom-built turbo by Chris Scremin of Spectrum Motorsports Langley. The turbo unit started life in an S15s SR20DET, but was bored out to fit larger billet wheels to suit the increased displacement of the KA24DE-T. An internal wastegate was then installed to limit the boost. The turbo dumps its waste through a test-pipe equipped, custom stainless-steel exhaust system. Fuel is fed into the KA24DE-T by an AEM fuel pump and is filtered through a 300zx fuel filter. An EMU stand-alone ECU by ECU Master controls the engine and produces a solid 270 WHP and 249 WTQ at 14 psi. 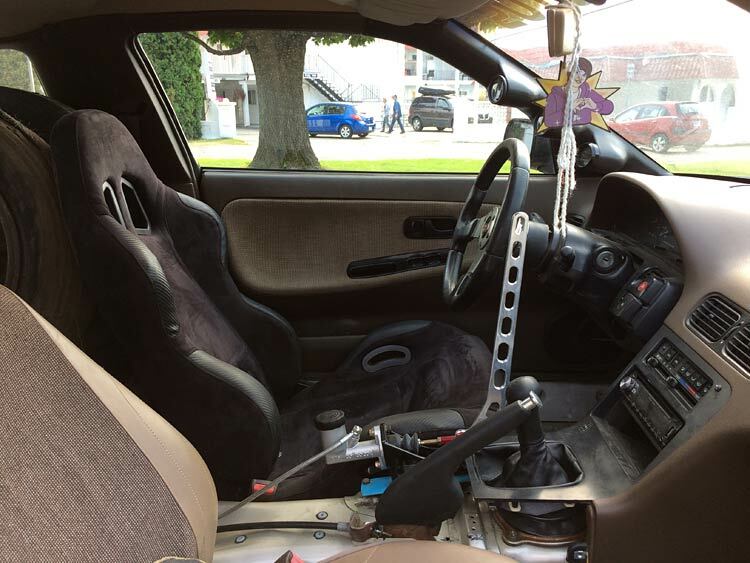 The interior of the car is simplistic, a reclining bucket seat and stock passenger seat, MOMO steering wheel and a Villains dual calliper hydro kit. Matt has stripped the rear for extra loading capacity. 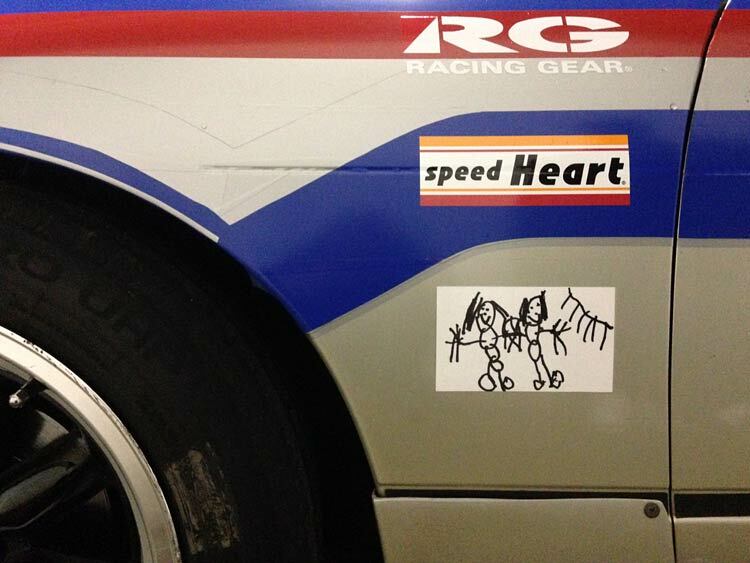 Matt likes to get his whole family involved in his drifting, young Stevie even gets to draw on the car – cool dad! 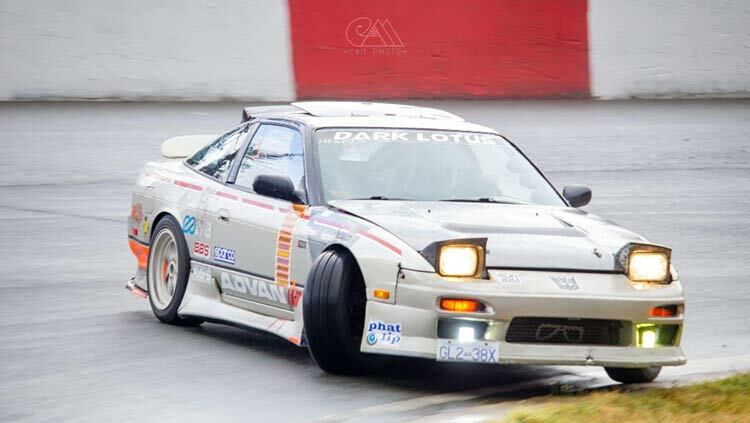 Matt has joined a local drift team (Dark Lotus Drift Team) that his old roommate, Shelby Moreau started back in the day. As you can see from these action shots the running gear and handling modifications have made a very capable drift car. 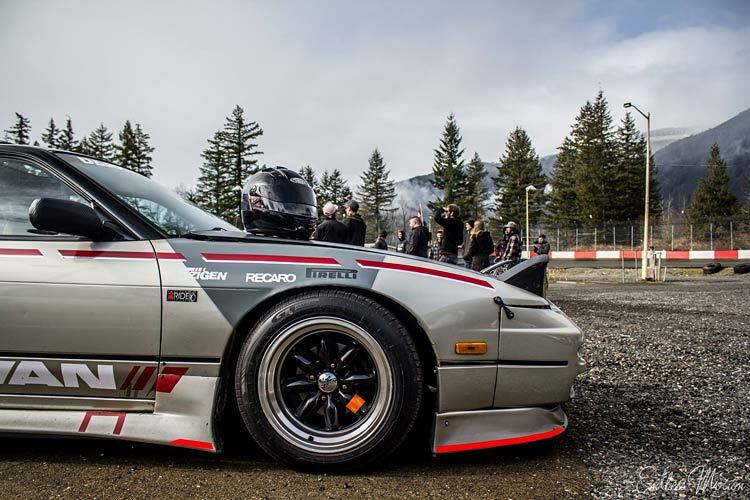 This is a 240sx that does not take itself too seriously. 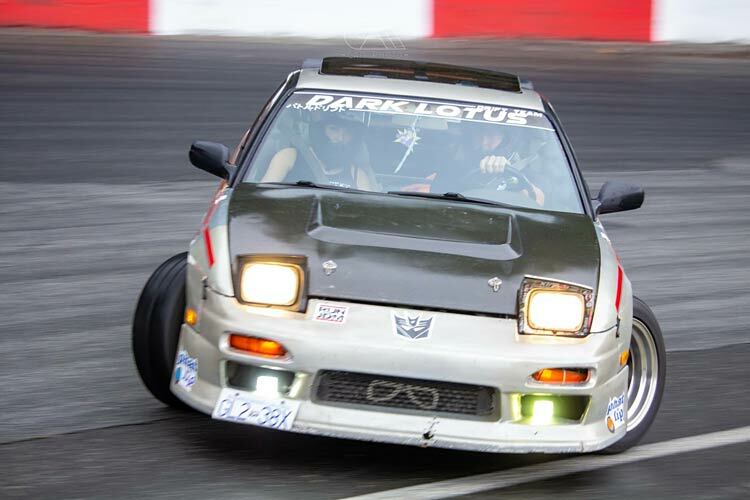 Underneath the mismatched aero and wild vinyl is a well set up and reliable drifting platform. Matt loves his car and we commend him for not being a sheep and building a car that is right for him. 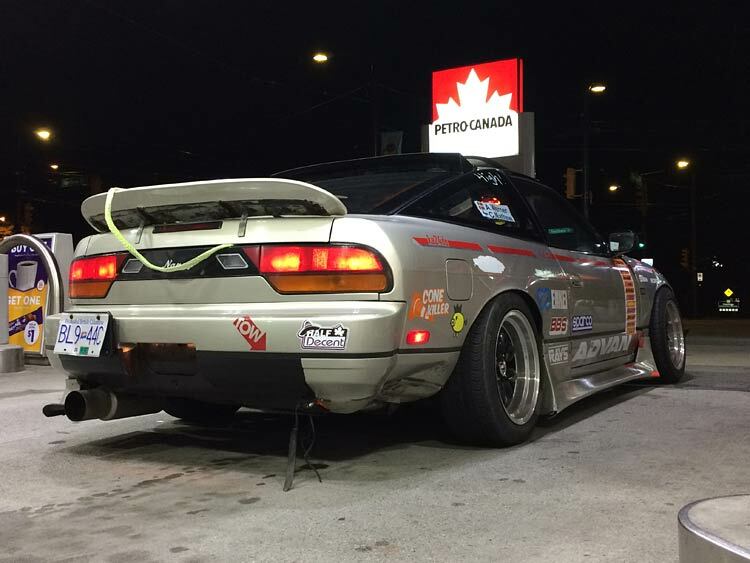 While wilder cars are awesome, we feel that Matt’s 240sx is a car that is a little more relatable to most of us enthusiasts. 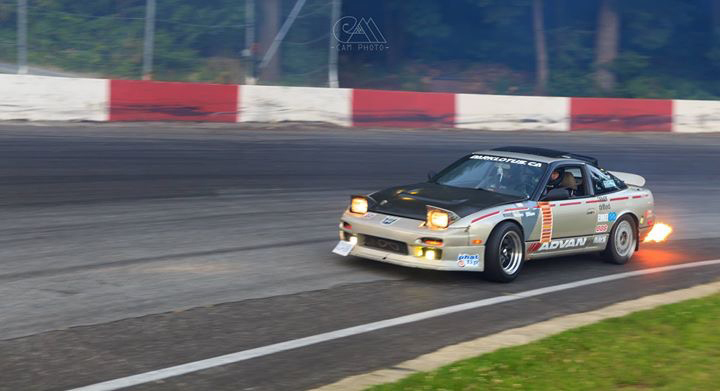 It goes to show that you don’t need an LS swap or JZ under the hood to enjoy the best drifting has to offer. Friends, family and fun. 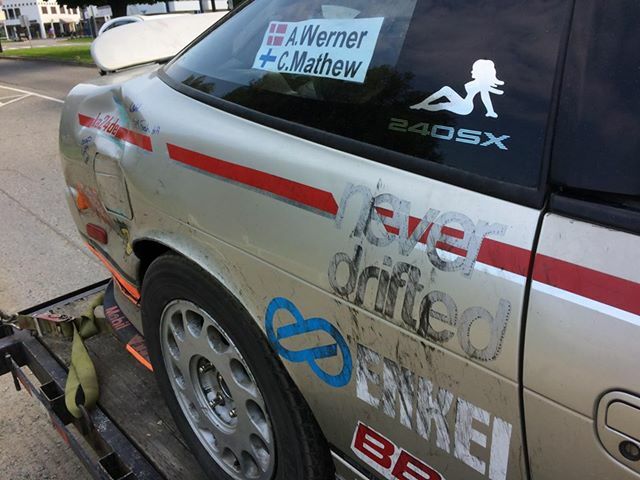 Thanks for sharing your ride with us, Matt. 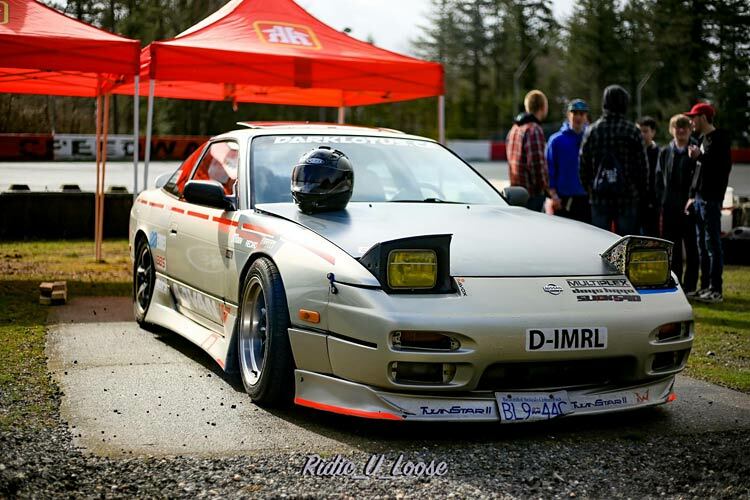 Matt would like to give shout-outs to his local underground street scene Chilliwack D-Boyz, Facebook group; Slammed N Sidewayz Drift events, darklotus.ca performance parts, Post-Haste Performance dyno tuning. Photographers; Endless Motion, DwyerZ Photography, RIDIC U LOOSE Photography, to Lil Stevie and finally, my co-pilot Alan (rally) Werner. We would like to thank Cody McLachlan for use of his photography in this article. Want to get started drifting yourself? Then it’s time to pick out you first drift car. Not got the cash for the real thing? Try our drifting games.